Select a period of stay and the calendar beside displays in green its availability. Reserve in 3 staps! Number of people / Capacity : 14 pers. Tourist taxes : 0.65 €/nuit/pers. The entity of Francorchamps includes the villages of Francorchamps, Hockai, Neuville and Ster. 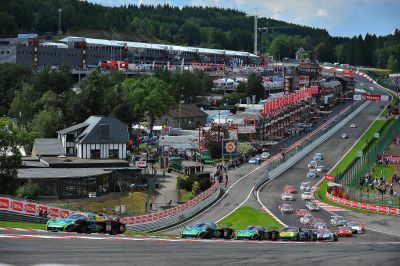 Francorchamps is worldwide known for its car track where many races are held from March to November. 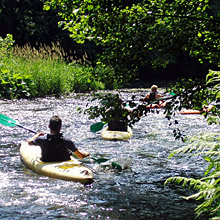 Many walks are possible, mainly from Hockai, located near the Nature Reserve of Hautes Fagnes. 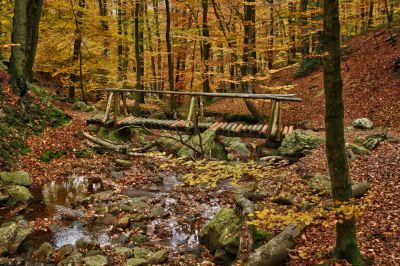 Hiking enthusiasts can enjoy this, whatever the season. In winter provide the cross-country skiing trails many pleasures of snow. Spa (French pronunciation: ​[spa]) is a municipality of Belgium. 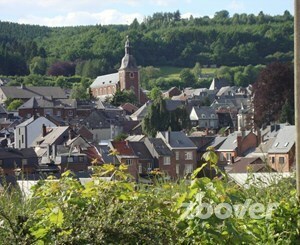 It lies in the country's Walloon Region and Province of Liège. 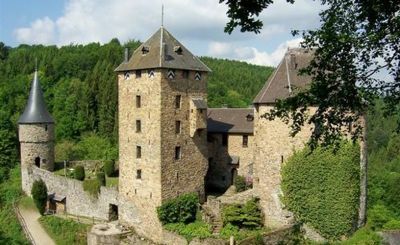 It is situated in a valley in the Ardennes mountain chain, some 35 km (22 mi) southeast of Liège, and 45 km (28 mi) southwest of Aachen. As of 1 January 2006, Spa had a total population of 10,543. The total area is 39.85 km2 (15 sq mi), giving a population density of 265 inhabitants per km². There are numerous ways to discover a region on foot, by bike, on skis, on horseback ... and why not with donkeys? The formula is simple. During weekends, days off, holidays, Anes-ok offers you the possibility to rent a donkey per hour, half a day, one day, a week ... Meet your hiking partner, follow our advice and start your journey on the rhythm of the donkey. Be it for an hour or more, you will not forget this moment. 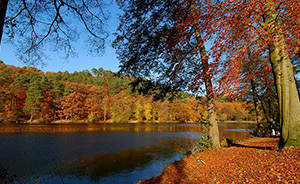 The lake of Warfaaz is located in the Ardennes just outside the town of Spa in the eastern part of the province of Liège. Its area is 6.5 hectares and its depth varies from 1 to 7 m. The periphery is asphalted, allowing easy access to the fishing grounds. The ballads are numerous. Restore points near the lake allow to eat or just to drink. Children have access to a playground where they will not get bored. 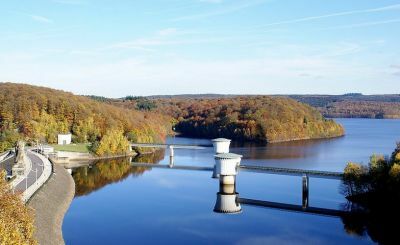 The Gileppe Dam is a hydroelectric dam located in the eastern part of the forest Hertogenwald in the Belgian High Fens. The core activities are: the walk around the lake, cycle hire, a visit to the dam, the exhibition on the dam and an educational walk. Today, the Gileppe Dam, its monumental lion and its lake magnetize visitors (tourists and inhabitants) in search of walks, peace and kind ... on foot, by bicycle ... on horseback. The Thermes of Spa represents the alliance of modern wellness with traditional Hydrotherapy. They have several spaces. 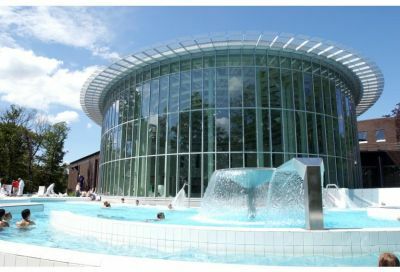 The indoor and outdoor pools provide a space of 800 m2 to 33 ° C. The form and Relaxation space includes panoramic saunas, steam rooms, light center of Wood, infra red light heating (relaxing effect not tanning). The center of Wellness and Beauty offers treatments and cures of resuming therapy, massages, beauty treatments and modules "body and mind". Open all over the year. The Bowling 362 Malmedy offers a wide air-conditioned entertainment area that consists of 12 bowling lanes (all suitable for children). 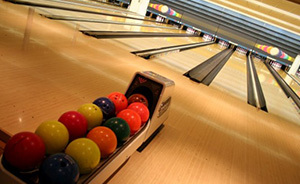 The tavern of the 362 Bowling offers a wide selection of refreshing beverages and hot drinks to quench your thirst. Conviviality also guaranteed at the tables of Billiard, Darts, Flipper, ... A WiFi network is also available on request. Plopsa Coo is een Belgische pretpark gelegen in Stavelot in de provincie Luik. Het is gelegen op de Amblève, aan de voet van de Cascade van Coo. Dit Natuurpark integreert de attracties in het landschap en zorgt voor een goede integratie in de natuur. Set in a beautiful green setting on the road to the Lake of Warfaaz, these facilities include an outdoor olympic swimming pool of 50m with 2 slides, diving boards, a children's pool and 8000 m² of lawn. Inside you will find an indoor 25 m pool with slide and a children's pool as well as a relaxation area with sauna, steam bath and solarium. You also have a cafeteria with a big terrace. Completely refurbished after its reconstruction, this Castle of the XVI century would be almost ready for new occupants. Wander between armor and paintings discovering chests or tapestries; discover all of the main building (Knights' Hall, guard room, chapel and apartments) and the tower through a guided tour of about one hour. 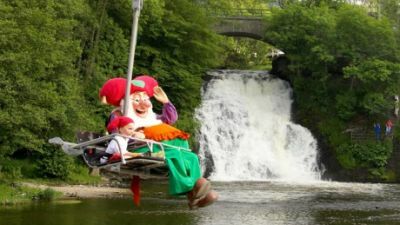 Several activities such as introduction to archery, falconry show, mountain bike and electric scooters rides, nature walks and medieval dinners are organized. 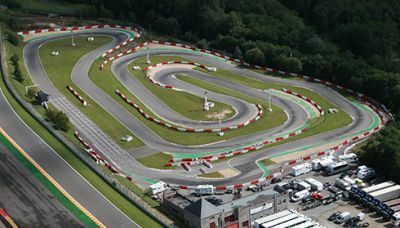 Located inside the famous Spa-Francorchamps circuit, the karting circuit offers a wide range of activities such as sessions with private karts or motorbikes, incentives, activities at a birthday or bachelor party for boy or girl, and more. It has a cafeteria with a terrace overlooking the circuit, a meeting room, an ample parking and easy access. 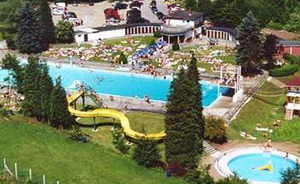 Forestia, located in La Reid, near Spa, meets the expectations of the whole family. 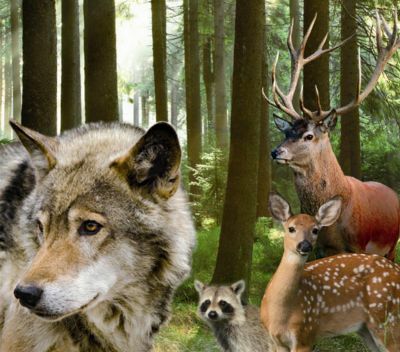 The Animal Park invites you to discover about thirty species of animals living in semi-freedom. The Adventure Park offers a walk in the trees, discovering the forest (accessible from 2 years) and an outdoor climbing park in the heart of the Forest (from 8 years). You also have the Forest'bar, a bar-restaurant with a large playground. You will find at Coo 2 companies "Coo Adventure" and "Adrenaline". They deal with the organization of events for companies as well as individuals.